Ceaseless rain and shellfire had also destroyed most of the natural drainage system around Passchendaele, making it very difficult to construct or defend elaborate trench systems. The Germans at Passchendaele based their defence on mutually-supporting strong points with machine-guns and small numbers of troops, often anchored around steel-reinforced cement blockhouses. The effectiveness of Allied artillery and assault tactics had led them to abandon linear, more heavily trenched lines in favour of this more elastic system. 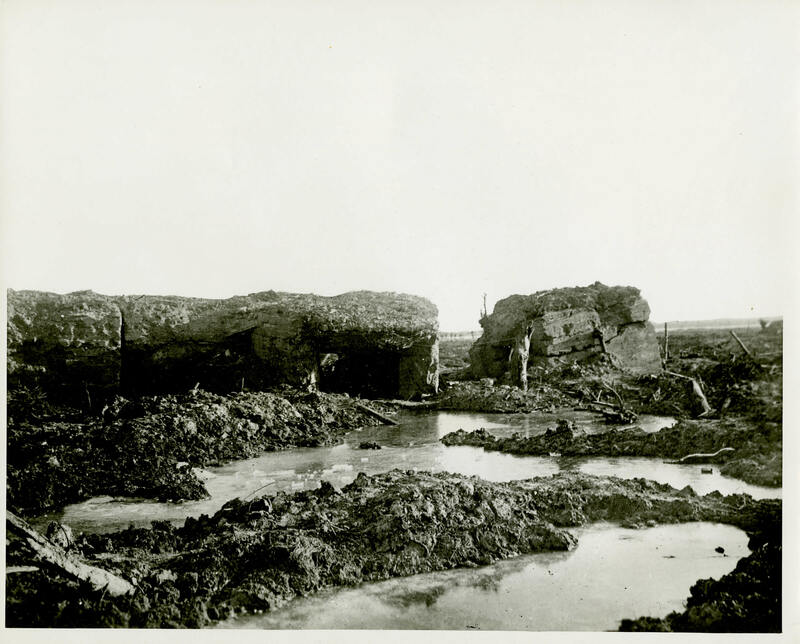 The Canadians captured this fortification during the Battle of Passchendaele in October and November 1917.